Coming soon to the historic 100 block of East Cherry Street in downtown Nevada, Missouri. Read the story about the family and the future of the store from the local newspaper Nevada Daily Mail. 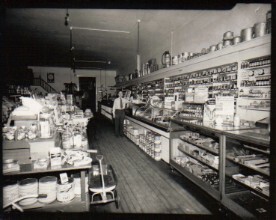 Photo Left: an old photo that could possibly be a photo of the hardwear store.